It is a Ceramic Nail Art Tools/Multifunction Nail Drill Bit, Shank Diameter: 2.35mm, Head Diameter: 6mm, Head Length: 14.5mm, It has multiple functions such as nail removing, polishing, buffing and exfoliating scrub. 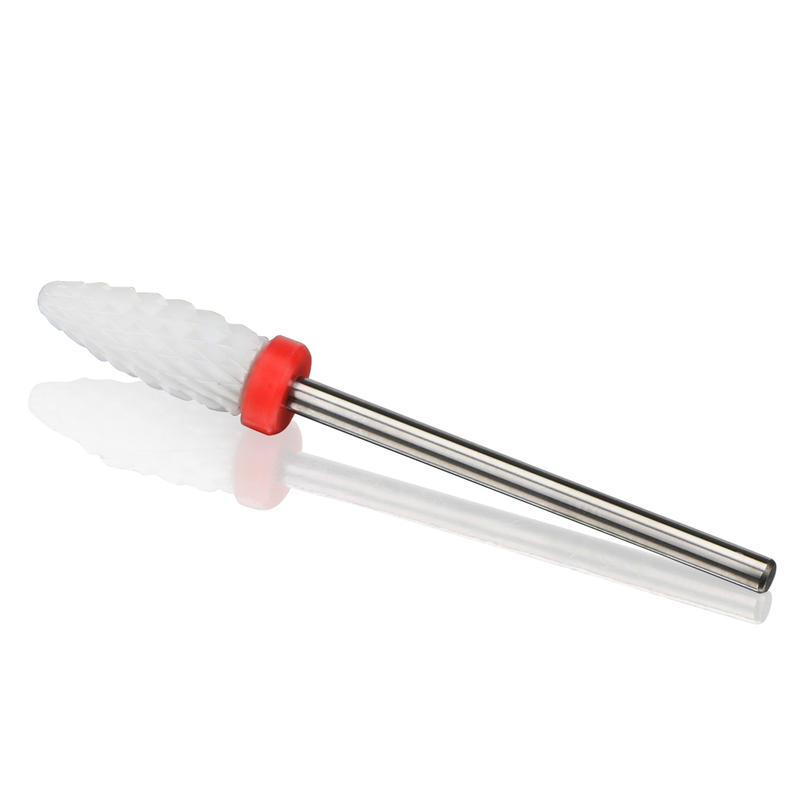 It can be used on cuticle clean, gel remove, fit most nail art machine and is suitable for professional, salon or home use. 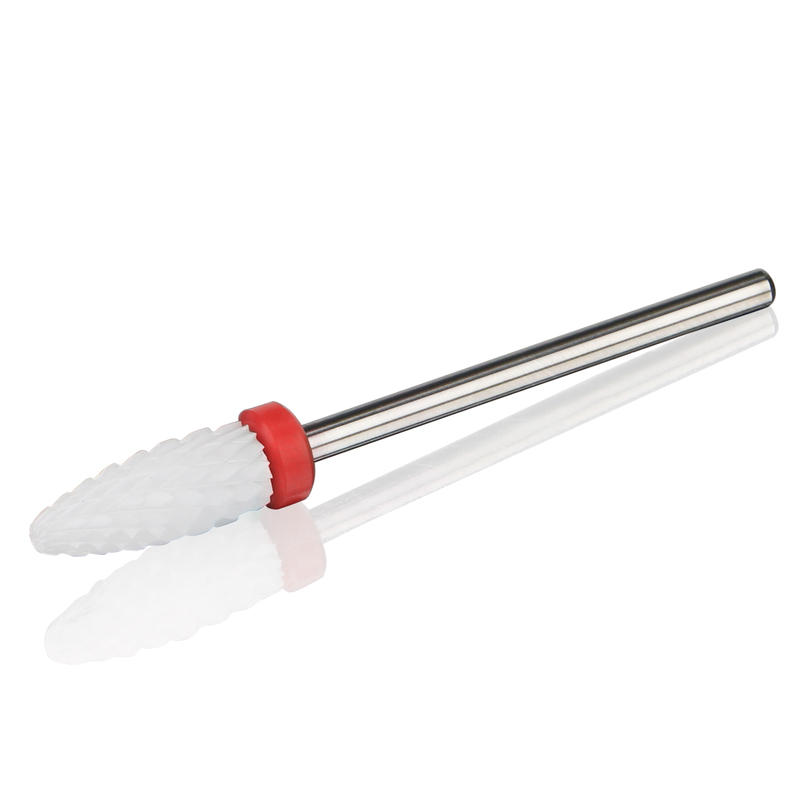 Our ceramic nail drill has multiple functions such as nail removing, polishing, buffing and exfoliating scrub, combining 4 functions in one, which is convenient and handy for you to use. It can be used on cuticle clean, gel remove, fit most nail art machine and is suitable for professional, salon or home use. 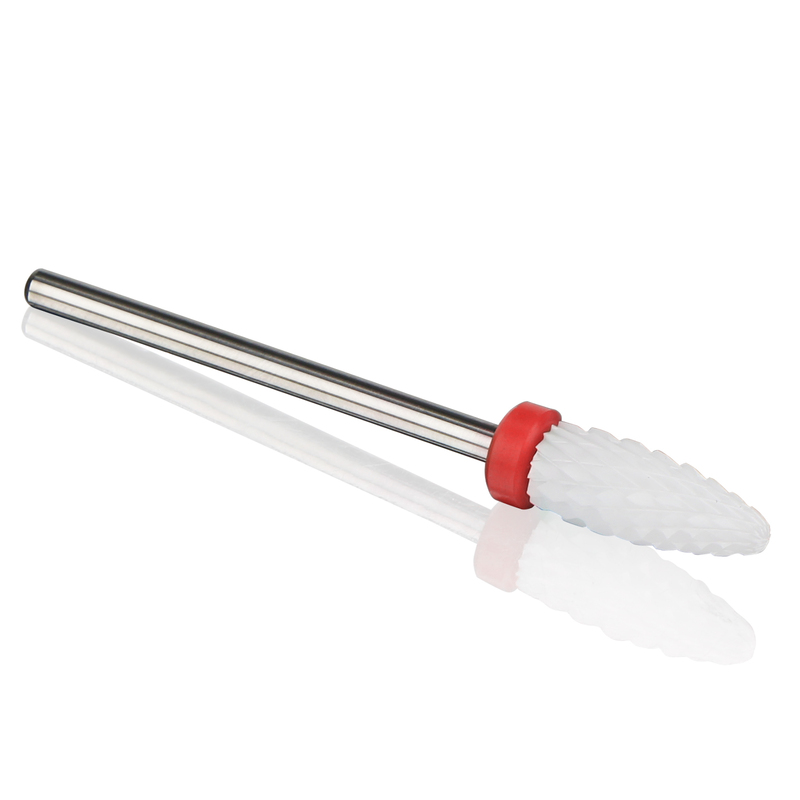 Higher Hardness: With high quality imported special ceramic material, this drill bit has higher hardness than metal and it's life span is increased. 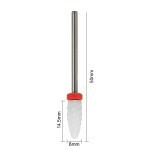 Meanwhile, it has better polish performance than metal drill. 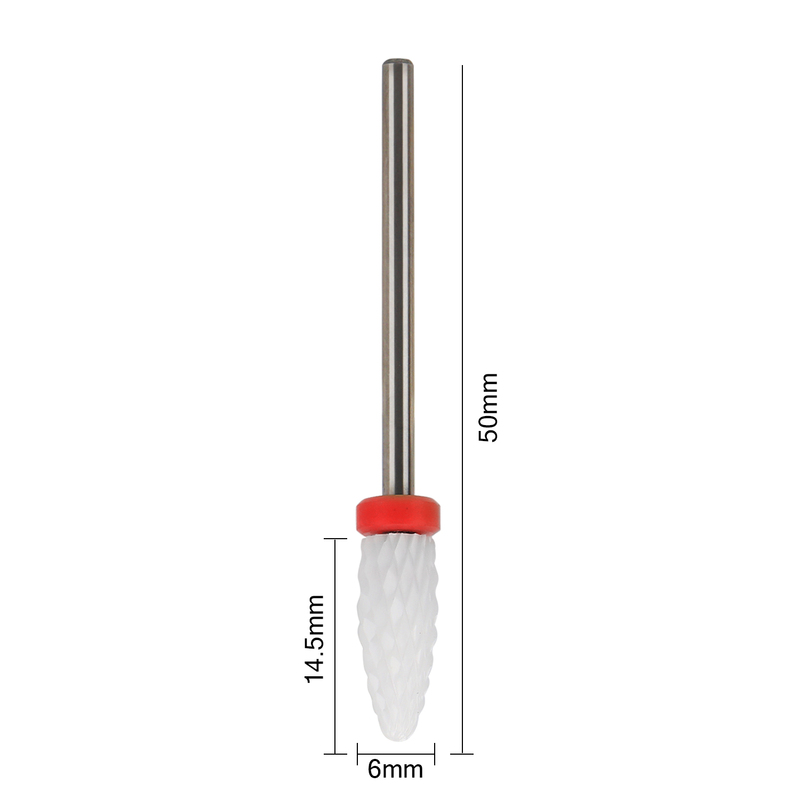 Excellent Heat Dissipation: Our nail drill bit possess higher-efficiency heat dissipation than metal, which further increases the lifespan. 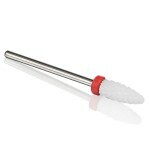 Easy To Clean and Disinfect: Directly wash the drill bit through clean water, and then you can simply disinfect the bit through medicinal alcohol. It’s so convenient, efficient and time-saving for your manicure. Great Antibacterial Feature: During production, we add inorganic antibacterial agent, so the surface of the ceramic has antibacterial effect. It can persistently inhibit and kill bacteria and other microorganisms. 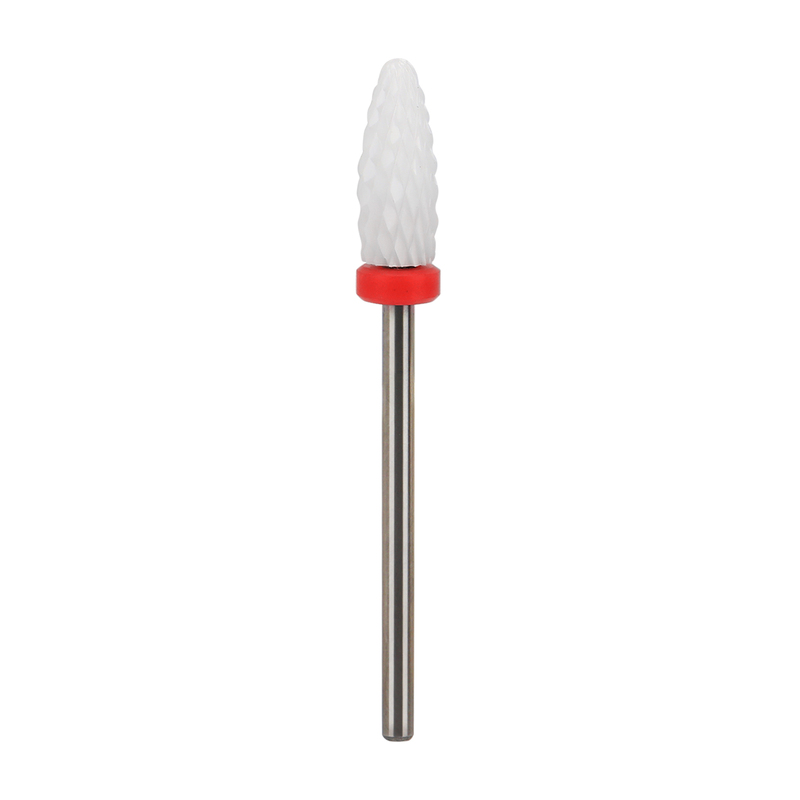 Resistance of Acid, Alkali: Ceramic is constituted by silicate which is stable chemical properties, so our drill bit can resist acid, alkali and other caustic material. 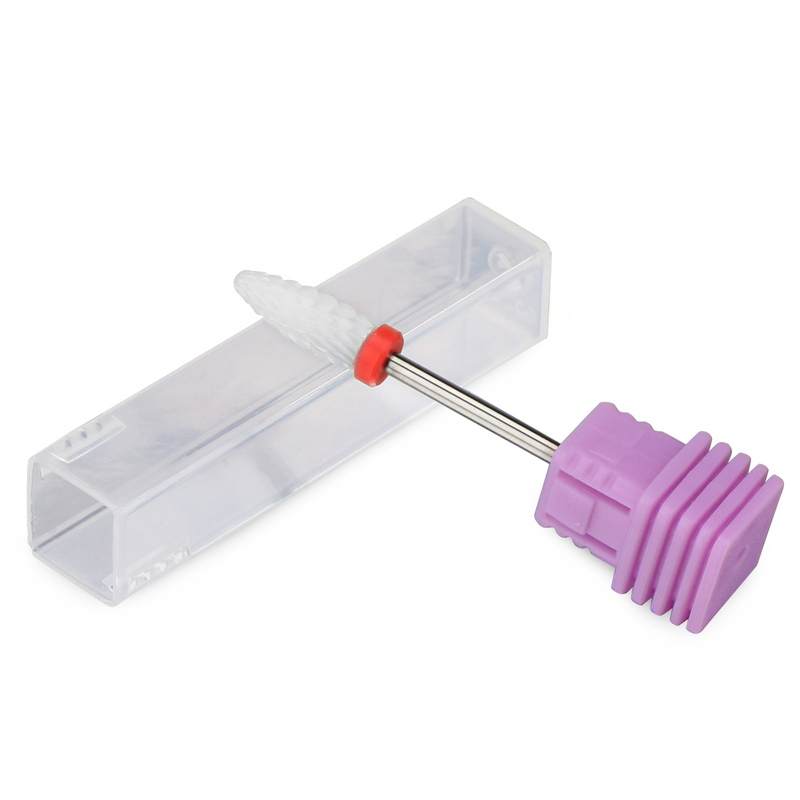 Best Universality: With 2.35mm (3/32 inch) shank diameter, our bits can fit for most electric manicure machine on the market.